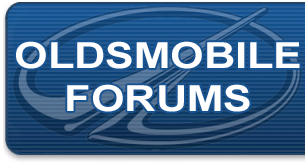 Oldsmobile Forums Announcements Check out this area for announcements in regards to the website and forums. It has been brought to my attention that some people are having trouble posting images. Please let me know what error message you're receiving when attempting to post an image and I will do my best to get to the bottom of it in a timely manner. I can't post images at all, there is nowhere that I can find to post an image (like a photo album), and using the usual forum BB code ([ url][ /url]) does not work for me. I do NOT get an error message. Last edited by MyQuad4; October 23rd, 2013 at 04:03 PM.